Nations Press news BREAKING: PRES. DUTERTE "THE NEW ASEAN CHAIRMAN! BREAKING: PRES. 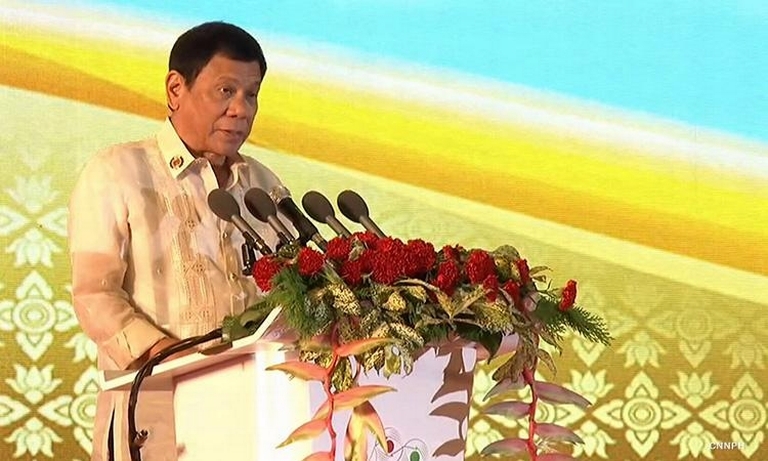 DUTERTE "THE NEW ASEAN CHAIRMAN! President Rodrigo Duterte accepted Thursday night the country's chairmanship of the Association of Southeast Asian Nations (ASEAN) for 2017. “We will pursue initiative and enhance cooperation with global partners to ensure ASEAN citizens live in peace, stability, security and growth,” he said. Duterte also unveiled the theme for the 2017 ASEAN Summit in Manila. “Our theme ‘Partnering for Change, Engaging the World’ captures our resolve to consolidate our community for our peoples with the sense of togetherness and common identity, ready and able to take our rightful place in the global community of nations,” he said. “The Philippines-ASEAN chairmanship coincides with a historic milestone event. We will celebrate the 50th anniversary of the founding of our Association. It will be an occasion for us to set the tone for the next 50 years." According to his communication team, Duterte will still have last-minute bilateral meetings with the leaders of New Zealand and Russia before leaving Thursday night for a working visit to Indonesia.